You’ll have to platform your way across beautifully drawn levels, utilising an array of lo-fi stealth mechanics against patrolling robots, vigilant security cameras and keen-eyed guards, all in pursuit of the perfect loot grab. Lovers of silent takedowns and hacking mini-games need look no further. In between missions, and from the safety of a rickety airship high above London, you can modify their thief with new skills, tools, and all manner of advanced technological horrors. 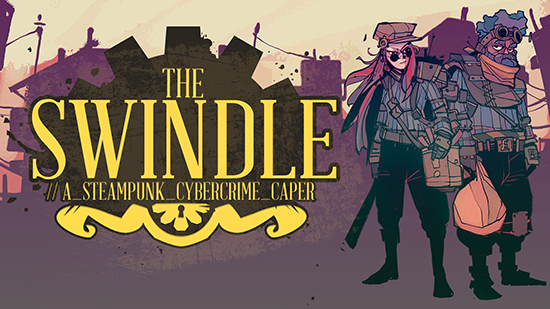 Previously released on PlayStation 4, Xbox One, PC, PS Vita and Wii U, The Swindle is a critically acclaimed burglary romp where you break into buildings, steal oodles of cash, and hotfoot it from the police.